In the 18th and 19th centuries it was fashionable to publish folk songs in the form of ‘national song books’. The original folk songs were often thought of as too ‘primitive’, so the words and melodies were ‘improved’ and classical piano accompaniments were composed. 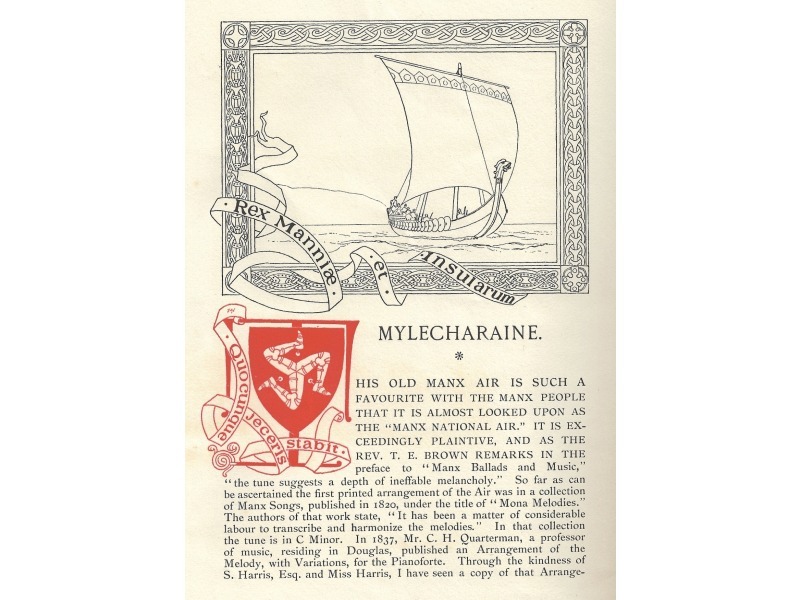 Although most of the melodies were traditional, many of the lyrics were especially composed to celebrate the Isle of Man using familiar themes: traditional trades (farming and fishing), historical tales and heroes, emigration as well as specific places and placenames. Most wealthy homes had pianos at this time so singing folk songs in the home was a popular form of ‘salon music’. 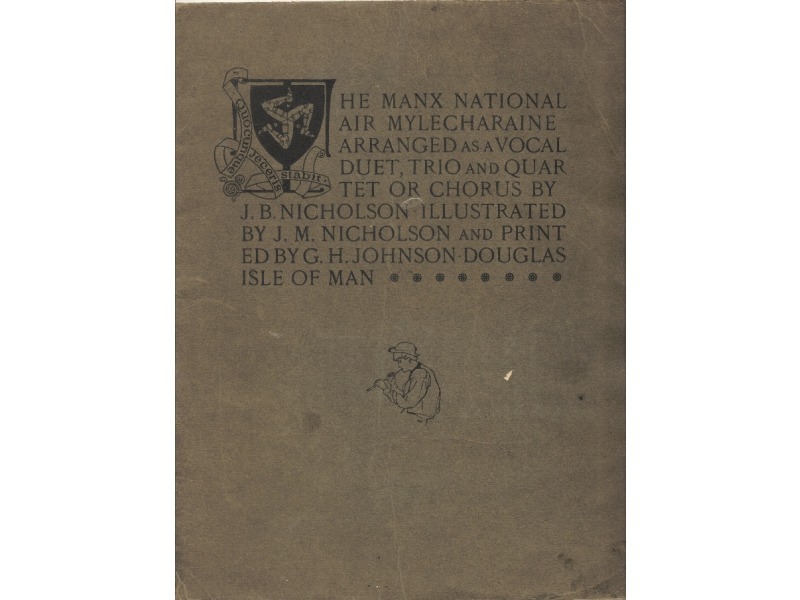 Manx National Songs was published in 1896 by W H Gill, J F Gill and Dr John Clague. 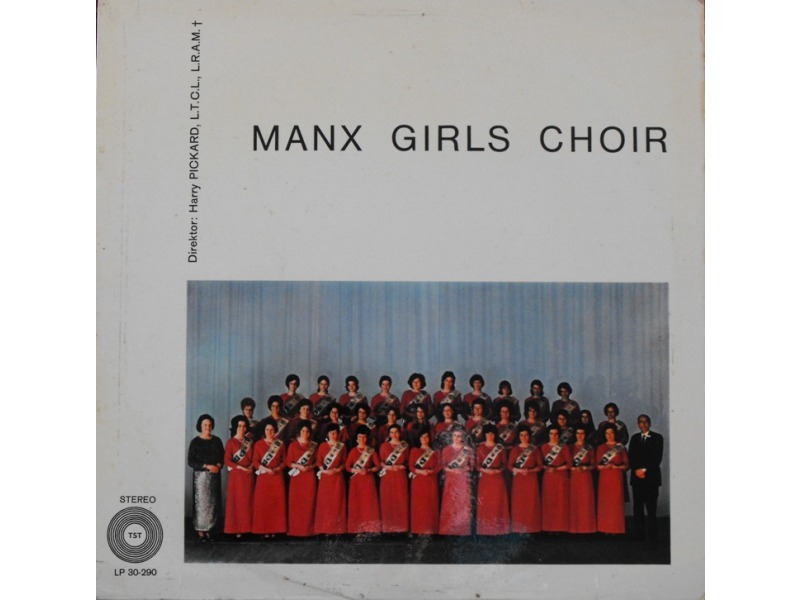 It was followed in 1898 by Manx National Music. It now exists in a combined two volume edition published by The Manx Experience with the assistance of the Manx Heritage Foundation. 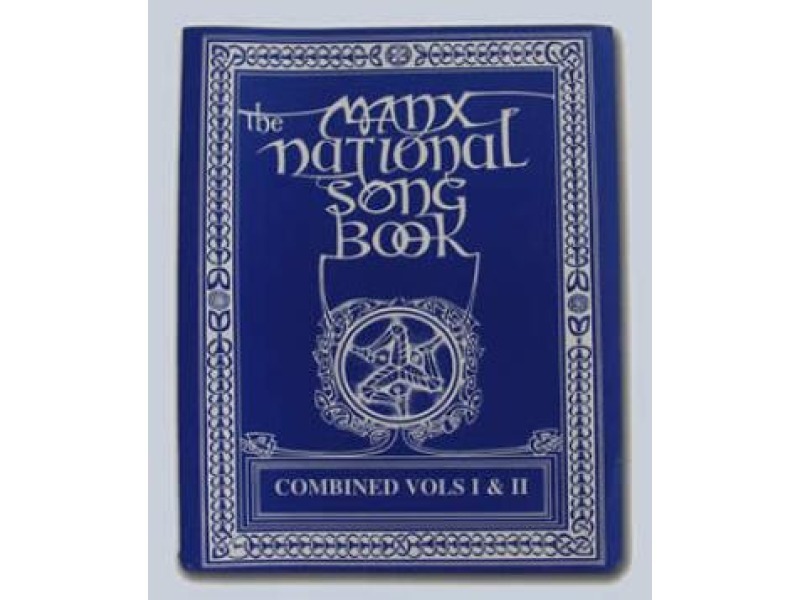 National songs became very popular in the Isle of Man and they are still sung in competitions like the Manx Music Festival (known as The Guild) and at local eisteddfod and cruinnaght gatherings around the Island. Miss M L Wood - one of the founders of The Guild - also arranged the music for A W Moore's Manx Ballads and Music (1896). One of the most popular songs is ‘Ellan Vannin’. With lyrics by Eliza Craven Green and music by J Townsend, it is a powerful and nostalgic work which rivalled ‘O Land of our Birth’ for a time as the national anthem. It is still popular at community gatherings and with the Manx diaspora. Edward Elgar also set the poetry of the ‘Manx national poet’ T E Brown to music and the lesser-known Welsh composer E L M Prichard did the same for the poetry of Mona Douglas. Celebrated British composer Malcolm Arnold was commissioned to write ‘A Manx Suite’ (1990) when he was patron of the Manx Youth Orchestra, conducting its premiere in the Villa Marina in Douglas. Internationally renowned ethnomusicologist and composer, Peter Crossley-Holland (1916-2001), composed ‘Ode to Mananan’ for the 26th International Mananan Festival of Music and the Arts. Both Arnold and Crossley-Holland’s compositions feature on recordings. Composers who draw on traditional music or who take their inspiration from the Manx land- and sea-scapes include directors of ensembles of all kinds, especially brass bands and choirs. 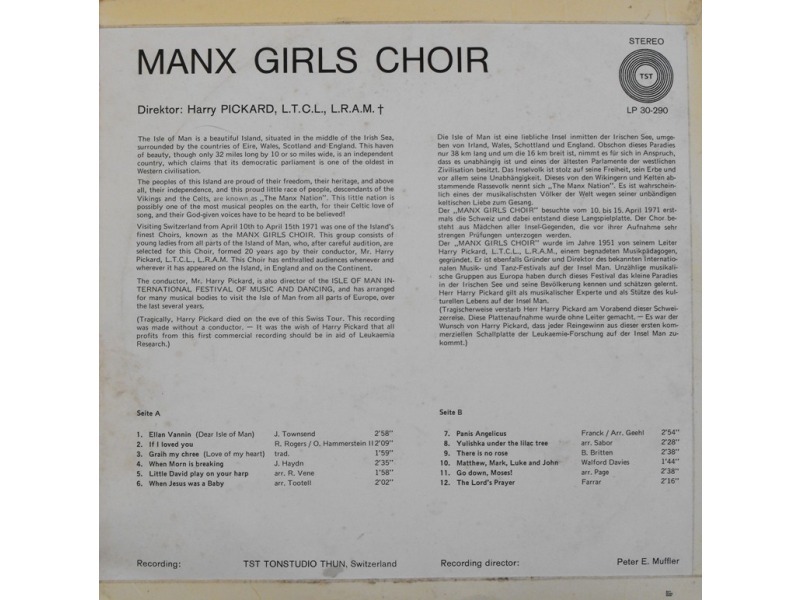 Published composers include Fenella Bazin, Frank Woolley, retired music teacher and Manx Wind Orchestra director, Paul Dunderdale, and harpist and film composer, Charles Guard.